Home, Door and Window Products is one of the leaders in the steel door industry. We have the greatest steel entry doors and steel exterior doors in the area. Home and Door has been selling steel front doors for over 30 years, and we have had over 150,000 satisfied customers. We have a huge selection of steel doors in stock, we even carry Therma-Tru brand doors, which are the most durable and weather resistant doors available. Our stunning steel doors will add curb appeal to your beautiful West Bloomfield home or business. Home and Door has gorgeous steel entry doors on display at our showroom near West Bloomfield. West Bloomfield Township is located in Oakland County, Michigan, within the Detroit Metropolitan Area with a population of 64,690. Home and Door specializes in steel doors, and we can ensure you the highest quality, the best service, and affordability. West Bloomfield is a highly sought-after location for families and businesses and is one of the most expensive places to live in Oakland County. 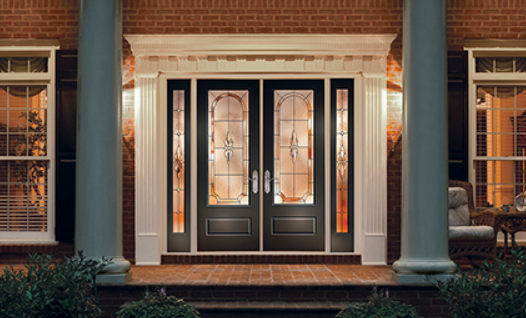 Home and Door provides premium, high-quality steel doors and exceptional service to our clients in West Bloomfield. Home and Door exceeds our customer expectations. We can make a custom steel front door that matches your home or business style. Our specialists are experienced and know all of the latest technology for steel doors. They will help guide you when picking out a new steel exterior door or steel entry door for your house or company. Home and Door is a reliable company that you can trust. We provide FREE in-home estimates, so call Home, Door and Window Products today at (248) 399-9900!